"Employee engagement” is one of those slippery concepts that’s talked about a lot but is somewhat hard to define. The language used to describe engagement can be somewhat lofty – filled with words and phrases like passion, commitment, joy, and “purpose driven.” This focus on intense, almost unattainable zeal can make people forget that there’s a difference between emotional and rational employee engagement, and that for most jobs rational engagement usually matters most. 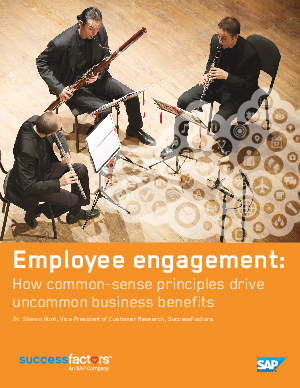 Download this paper to discover the common-sense principles and how these can drive uncommon business benefits.